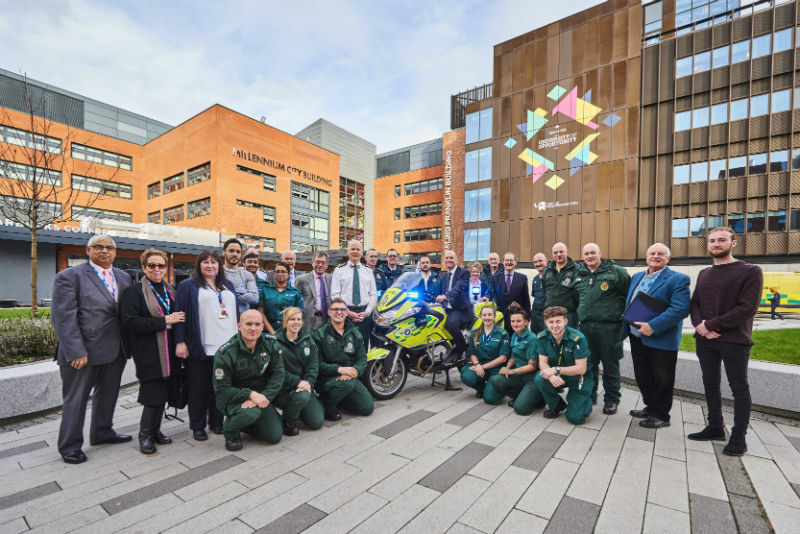 The University of Wolverhampton and West Midlands Ambulance Service (WMAS) have joined forces to create the UK’s first university-ambulance trust. The two organisations have forged the new partnership which will see them working together on collaborative projects, research, sharing clinical expertise, joint curriculum development and staff exchanges. The move sees the service change its name to West Midlands Ambulance Service University NHS Foundation Trust, becoming the first university ambulance service in the country. Another key part of the partnership will be the joint development of courses and research in the area of emergency management. Geoff Layer, Vice Chancellor of the University of Wolverhampton, said: “We are delighted to be working with West Midlands Ambulance Service to further strengthen the relationship and work between the two organisations. “We are training more and more paramedics and the partnership will see this level increasing further. We feel it also recognises the role of paramedics as being at graduate level and a specialist position within the health service.